Eskridge Law will represent your Employment legal matters. GAYLE L. ESKRIDGE, the principal of ESKRIDGE LAW, has been a litigation and trial attorney since 1988, representing individuals, corporations and partnerships, employees and employers, investors and developers, and municipalities. With broad litigation and trial experience, Ms. Eskridge has managed hundreds of cases and now dedicates her practice to employment, business, and real estate litigation. Ms. Eskridge has held an AV rating from Martindale-Hubbell every year since 2003. An AV rating identifies a lawyer or firm with very high to preeminent legal ability. The AV rating is a reflection of expertise, experience, integrity and overall professional excellence. 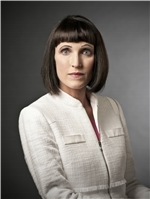 Ms. Eskridge has also been designated a California Super Lawyer for 2012 and 2013. Only 5% of all attorneys in Southern California ever receive such a distinction. Ms. Eskridge has also been designated a Top Attorney in Southern California by Los Angeles Magazine. Ms. Eskridge has also been designated as a "2013 Top Rated Lawyer in Real Estate" by the National Law Journal, Corporate Counsel, & The American Lawyer. Ms. Eskridge is a mediator certified by the Los Angeles County Bar Association Dispute Resolutions Services, Inc. Ms. Eskridge is also a Settlement Conference Officer for the Los Angeles Superior Court, a Member of the Los Angeles Superior Court Mediator Panel, a member of the American Arbitration Association Mediator and Arbitrator Panels, a Professional Member of the Southern California Mediation Association, a Mediator with the National Institute for Advanced Conflict Resolution, and an Associate Mediator with Mediate.com. Ms. Eskridge has conducted over 175 Mediations. Ms. Eskridge is admitted to practice in all of the courts of the State of California, including all of the United States District Courts in California. Ms. Eskridge holds a Juris Doctorate degree from National University School of Law. Her legal studies were distinguished by three American Jurisprudence Awards in Constitutional Law, Real Property Law and Remedies, and by an F. Lee Bailey Moot Court Award. During law school, Ms. Eskridge worked full time as a Senior Contract Administrator at a major aerospace company handling multi-million dollar contracts, both government and foreign. Ms. Eskridge is or has been a member of the California Employment Lawyers Association (since 2002), the National Employment Lawyers Association, the American Association for Justice (since 2006), the American Bar Association (since 1988), the California Bar Association including the Litigation Section (since 1988), the Labor & Employment Law Section (since 2006), the Los Angeles County Bar Association including the Labor & Employment and Litigation Practice Sections (since 1994), the Women Lawyers Association of Los Angeles including the Employment and Labor, Litigation, and ADR-Mediation Sections (since 2006), the South Bay Bar Association (since 1994), the South Bay Women Lawyers Association (1997-2000), the San Diego County Bar Association including the Labor and Employment Law, General Civil Litigation, and Alternative Dispute Resolution sections (since 1988), and Lawyers Club of San Diego (1988-1994). Ms. Eskridge was also a member of the Judicial Appointments Committee of the Los Angeles County Bar Association (2007-2012), and is currently a member of the Professional Responsibility and Ethics Committee of the Los Angeles County Bar Association (since 2012). While living in San Diego, Ms. Eskridge served the San Diego County Bar Association as Chair of the Civil Litigation Section (1990-1992) and as Editor of Dicta (1990-1993). Ms. Eskridge has been a guest speaker on various legal topics for the Financial Executives Networking Group, the Del Amo Rotary Club, the California Society of Medical Assistants, the Torrance Chamber of Commerce, the Corporate Advisory Committee of the Los Angeles Commission on Human Relations, and other organizations, and has provided seminars on legal issues to numerous businesses. Ms. Eskridge has had numerous legal articles published in Dicta, The Lawyer's Magazine, among other publications. Ms. Eskridge does pro bono work for the Los Angeles Superior Court Alternative Dispute Resolution Program, and also donates her time to the Los Angeles County Bar Association, where she was a long time member of the Judicial Appointments Committee and is currently a member of the Professional Responsibility and Ethics Committee. This Committee investigates and interviews judicial applicants and submits reports to the Governor.